All our items are AUTHENTIC. They were mostly sourced from Japan where a regulated secondary market exists and on which we have licensed dealer status (No.452700008017 issued by Kanagawa Koan Iinkai). The Japanese authorities have no tolerance for fake or stolen items, therefore handling second hand items requires a special license which is issued only to those who have passed their strict background checks. Why Japan? Did you know that there are almost as many HermÃ¨s and Chanel stores in Japan as there are in the whole of Europe? Since many Japanese people tend to constantly buy and exchange brand items, a proper second hand market has been established in Japan. People may have many brand items and when they still want some more, they tend to sell their old items to Licensed Second Hand Dealers. Finally, Japanese culture has a strong emphasis on cleanliness and the Japanese are famous for taking particular care when handling their belongings. Therefore, many second hand brand items are kept in good conditions. Our items are 100% authentic. Please feel free to examine them carefully. You are also welcome to post our items on http://forum.purseblog.com to get the the honest opinions of other buyers/sellers on our item's authenticity. 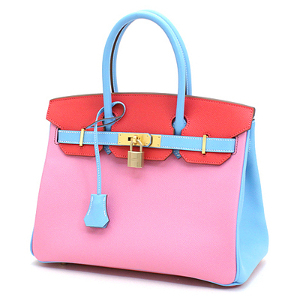 Finally, please note that some of our most beautiful and unique Birkin and Kelly bags are sold at Christie's auctions. We will update our side with details for the next auction once they are available.